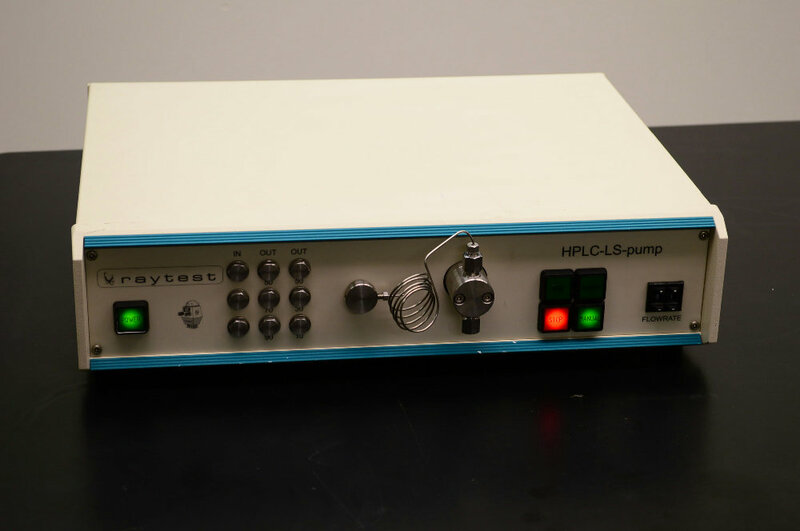 Raytest Ramona HPLC-LS Pump Radioactivity HPLC Liquid Scintillator . New Life Scientific, Inc. This pump is in good overall condition. The piston is anticorrosive and highly precise made of sapphire. The in- and outlet valves are made of Rubin. Quite a number of liquid-scintillator cocktails are abrasive and produce a strong wear and tear. The unit has been tested to pump, Communication has not been tested. Pumps are in very good condition. Please see the pictures for more details. Great condition - has been tested and works well.